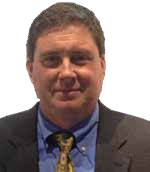 Rob Alexander assumed the role of IISC’s Executive Director in June of 2017. He has worked in various human space flight projects for the last 20 years, including the Space Shuttle and International Space Station programs in various capacities. He has also worked at United Space Alliance (a joint venture between Boeing and Lockheed Martin), McDonald Dettwiler (the Canadian space robotics company), and Science Applications International Corporation (an international engineering and science contractor). Rob was in the private space sector for several years as a member of the NanoRacks team in Houston, Texas. Most recently, he has been involved with the secondary payload cubesat deployment system on the Space Launch System as an employee of Bastion Technologies at the Marshall Space Flight Center in Huntsville, Alabama, USA. Mr. Alexander has a Bachelor’s degree in Aerospace Engineering from the University of Texas at Austin, as well as a Master of Space Studies degree from the International Space University. 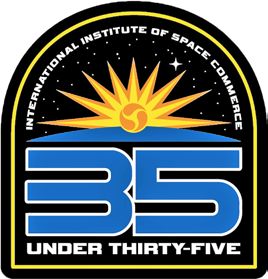 Rob Alexander, the Executive Director of the International Institute of Space Commerce (IISC), discussed the upcoming 35 Under 35 Awards with SatMagazine. For the first time, the IISC is recognizing 35 individuals in the space industry who are under the age of 35. Nominations are open now and may be submitted via the IISC website located at http://iisc.im. How did the idea for the 35 Under 35 come to fruition? The idea materialized when I became Executive Director last year. The IISC has been around for more than 10 years and has existed as a think tank tasked with furthering the cause of the commercial space sector. We’re still fulfilling the think tank role. In fact, we’re very proud of the Lunar Economic Action Plan (LEAP) that we just published. We’re just doing so much more. To take on this new role, we needed to expand our footprint, including growing and adding further value to our members and the marketplace. This is our next major effort after LEAP and I suspect that this is going to be the first time a lot of people will be introduced to the IISC. What is the goal of the 35 under 35 award? The primary goal is to give a spotlight to the younger people in our industry. The space sector is not exactly brimming with recognition and awards — many of the awards that we do have are focused on lifetime achievement. That’s a great thing in and of itself; we all would love to get such an award some day. The 35 Under 35 will give the honorees some strong confidence that they are on the correct path. With that in mind, we would like to receive nominations for persons in all facets of the space sector. Despite the IISC’s placement on the commercial side, we would like to recognize the young people on the government side, as well. I started out on the government side, myself, and here I am at the center of commercial space. Recognition during those earlier years would have given me a great platform to stand on when I made the change over to my commercial career. Most importantly, we want to be sure that we get nominations for young people fulfilling all the roles in the industry. Yes, the IISC is an organization that loves business plans and profit analysis. We do want to recognize the young space financiers — a group that especially lacks recognition in our industry. That being said, we want a list that included engineers, researchers, educators, and anyone that I may be leaving out. Do you have a young science-fiction writer that you’ve especially enjoyed? Nominate them. How about a technician that manages to get your space hardware wired correctly? Nominate them. Do you have a human resources representative that has helped to build your company? They deserve to be nominated, as well. With this being the first year of the awards, the path is open. We’re taking any and all comers. How will the candidates be judged? The 35 Under 35 is going to list a group of people to watch in the coming years. To that end, we’re going to take a look at the candidate for two aspects: what have they accomplished, and, just as importantly, what is their potential? Given that most people in the space industry actually enter the workforce at age 23 or so at the soonest, we have — at most — 12 years of work in order to rate one’s accomplishments. What one accomplished during this period will get serious consideration. As so many of us really only came into the industry after getting advanced degrees, this aspect cannot be the only criterion. This means we’re looking at a nominee’s potential, as well. Where is their career going? A young project manager who is taking on a new project would be one to watch. Teenage ISS researchers — such as the HUNCH program — might be worth considering for nomination as well. Both of these aspects will be taken into consideration when we’re finding the most “complete” candidates. Who are the judges and how were they chosen? We’ve got a panel of six judges for this year. I am very proud of the team that we have put together for this; it’s one of the best teams that I have ever assembled. I started with Chris Stott and myself. Our positions with the IISC, and our respective roles in the space industry, give us the perspective that the judges will need. We’re going to be the “anchor” of this group, as it were. The next person that I was able to sign on was Noah Rhys, the CEO of YetiSpace in Huntsville, Alabama. I was privileged enough to tour his facilities and was impressed by the efficiency and capability that his company uses. As so much of their work is in fabrication, Noah will keep an eye for the “hands on” side of thing. It’s so rare that we give our techies recognition, and Noah could be the balance to that. Plus, with Yeti Space qualifying as a “small business,” he has the correct perspective for the emerging space industry. The final three members of the committee — Suyeon Yi, Chris Hadfield, and Jose Hernandez — are all former astronauts. They’re not just media darlings — we invited each of them because of their work in international outreach and, more importantly, education. Each of them have done a good amount of work toward blazing a path for others to follow. How many people are expected to apply? As this is the first year of the award, we are expecting about 250 nominees in total. I think that once people see the first recipients — and then start noting people list this recognition on their resumes — we will see more and more in the future. If I were a CEO right now, I would be wanting to see as many of my employees as possible on this list each year. It’s a certain signifier of the company going forward, with potential for the future. Whats the IISC role in the award? This is our award, through and through. We’re handling the outreach, the nominations and the final determination of who will be on this list. We are reliant on our membership and the space community as a whole to give us the best possible nominees. Anyone can make a nominations via our website (http://iisc.im). The deadline for submissions is April 20. From there, we are taking it forward to make our decisions. Once the final recipients are selected, we will publish the list — first on our website, and then via a poster or hardbound book that will be given to each recipient and key people who have helped us with this effort. The recipients will also be honored at an IISC fundraising event that will be held later this year. Would you tell us about the organization that is IISC? 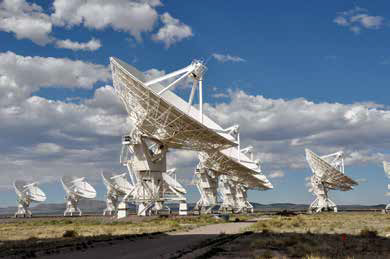 The International Institute of Space Commerce is the world’s leading nonpartisan think-tank dedicated to the study of the business, economics and the commerce of space. The organization’s goal is to transform the global discussion on space commerce working to solve the issues it faces today and tomorrow by driving forward the conversation with a marketplace of new ideas by providing this home for the exchange, discussion, and creation of new ideas in space commerce. Being international in its reach and a non partisan ‘Think Tank,’ IISC draws upon new ideas and solutions to existing and future problems that the space industry faces by bringing together experts from academia, government, the media, business, international and non-governmental organizations, most notably those from the ISU and its extended network of people and resources. Why not join IISC and contribute to the conversation? Thanks to the various sponsors and partners, membership is free. Members are drawn from around the world and include private citizens and policy makers from academics and students to industry leaders. All are contributing to the growing conversation and ideas about space commerce today and its future for all tomorrow. Every nation in the world, every economic sector, and nearly every human being today, depends upon the products and services of the space industry. Since the launch of Sputnik in 1957, the global space industry has grown enormously to encompass the annual $300 billion satellite communications industry1, itself supporting the $4.3 trillion a year telecommunications industry2, on through to the provision of weather satellites and global positioning systems changing the way the world feeds itself through to the revolution in remote sensing changing the way we see our lives and further to the cutting edge frontier of the commercialization of human spaceflight with space tourism, the International Space Station, asteroid mining, and so much more. How is all of this evolving and growing in this age of exponential technology, of industry disruption, this second renaissance, this digital renaissance? Help us in answering these and other questions. IISC publishes papers, holds workshops and events, and supports conferences around the world. 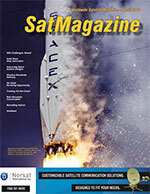 To date, the Institute has published more than 40 papers from industry and academic leaders — these papers have been delivered by invitation at venues ranging from the U.S. National Academy of Sciences in Washington DC to the International Space University (ISU) in Strasbourg, to the International Astronomical Congress (IAC) in Toronto and Jerusalem, covering topics as diverse as the commercial use of the International Space Station to the use of private capital for the provision of public science missions. The Institute was founded in 2007 as a Not for Profit Isle of Man Company and is located at the Nunnery in Douglas on the Isle of Man, drawing from the Isle of Man’s growing role and importance in the world’s space industry.